Startup funding in Bristol & Bath: Who’s got the cash? Are you looking for a cash injection to turn your two-person band into a global phenomenon or just to grow your business? There are many avenues to explore in order to get your hands on funding, and being located in the South West certainly won’t hinder your choices. Accelerated Digital Ventures (ADV) excited us all with its announcement to bring £150 million to solely supercharge the tech clusters outside of London. Its aim is to provide your tech business with capital from entry all the way through to exit in order to expedite genuine talent. ADV summarises its target as “a mission to tie together the fabric of UK technology”. And it’s started this quest by supporting Bath-based MoveGB as part of the first series of investments. Lee Strafford, ADV’s CEO goes on to say, “We calculate there is still a circa £3.5B venture gap in the UK. ADV is committed to creating a nationwide venture platform, to plug this gap by funding digital technology companies with institutional capital right across the life cycle, from seed through to scaling big”. If you think you tech business could use a boost from the ADV team, don’t hesitate to apply now! The Engine Shed‘s new scheme to connect businesses with investors is now fully underway. You can now have the opportunity to book in time with experienced investors from ADV as well as Deepbridge Capital. This is your chance to draw on their knowledge to help you understand exactly what they’re looking for. Designed to support tech businesses who can’t find the finance, Code Investing offers an alternative option. Previously known as CrowdBnk, during the rebrand the team decided a switch to debt financing, as opposed to equity, was a wise idea. The idea is to provide a different approach to funding specifically for tech businesses that are at the forefront of change. Code Investing has seen some huge successes so far, including helping Hambledon Vineyard raise over £3.5 million and Buyapowa reach its £1.4 million target. 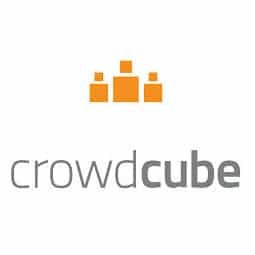 CrowdCube helps you reach out to a growing pool of over 66,000 investors all eager to have a piece of the action (and part with their money to get it). The current total investment is at £323,147,002 helping 545 companies to thrive. Tech is top of its list too, with 71% of its members eager to support new tech businesses. Some of CrowdCube’s success stories include: Kevin McCloud who broke the equity crowd-funding world record by raising a huge £1.9m for his Hab Housing company; Escape the city who raised £600,000 from 394 investors; The Thoughtful Bread Co and Edge Forecast Software who are Bath-based businesses that offered 20% of their businesses to CrowdCube investors; and Kinopto, a cinema technology startup that successfully raised £35,000 for 15% in just 7 days. 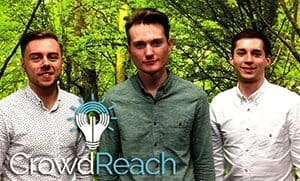 After identifying that the majority of reward-based crowdfunding campaigns were failing to meet their targets, UWE Bristol graduates decided to take matters into their own hands, thus CrowdReach was born! 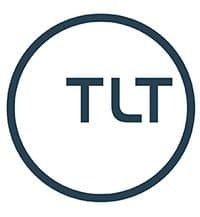 Originally setup to help local creators to launch their products on Kickstarter and Indiegogo, the team now work with live campaigns from around the world, helping them to raise more money through paid ads. They want to keep things fair too. You only pay on the funds CrowdReach has helped drive to your campaign – so if they’re no help at all, you won’t have to pay a penny! Deepbridge prides itself in doing things a little bit differently. This investment manager works closely with financial advisers and investors to create the best programmes. Deepbridge works in four sectors: disruptive technology, life sciences, renewable energy and sustainable technologies. If your company falls under any of these categories, Deepbridge can help you raise the capital you require. The organisation has been vastly commended, winning Growth Investor’s ‘Most Impactful Investment’ of 2015 and being shortlisted for a plethora of similar awards, meaning you know you’re in safe hands here. Downing Ventures call themselves an early stage venture capital for tech businesses based in the UK. Its aim is to nurture the best talent out there by providing that all important investment to the top entrepreneurs in the country; including South West clients such as Open Bionics, Duel, Zenstores and MoveGB. You can get in touch to pitch your business and desired finance on Downing Ventures’ website. The Crowd10 Ideasquares initiative works in partnership with Crowdcube to ensure you can get the very best out of your campaign. There’s a lot more to achieving your funding target than meets the eye, so having the kind of expertise you’ll find on the Crowd10 team by your side is invaluable. They can help with the general organisation of your strategy, putting together a concise marketing plan, the drafting of your financial promotion and all of the other components of running a successful campaign. 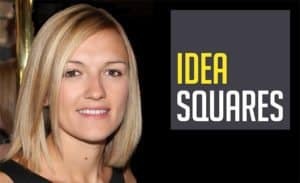 Ideasquares also runs an equivalent if you have a campaign on the go on Seedrs called Surge. The team offer the same service as with Crowd10 but tailored to the differences of Seedrs. Established in 2014, Horizon 2020 is available for all EU citizens to take advantage of until 2020 (although you guys might have to hop on the bandwagon quickly). €80 billion has been invested into the biggest ever EU Research and Innovation programme, but how can you get in on it? First of all, Horizon 2020 encourages you to check out the Participant Portal to see if your business fits the bill. There will be ‘calls for proposals’ under funding opportunities – this is where you can submit a response and the team will assess if your business model tackles the issue in hand. It’s all about solving problems and giving real talent the means to do so. 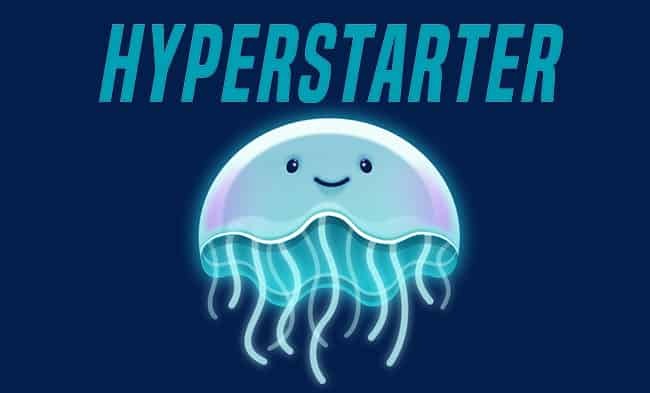 New to Bristol, Hyperstarter offers not only a clever (and free) analytics tool to help businesses highlight problems with, and improve, their crowdfunding campaign pages but they take things one step further with the offer of tailored hands-on support beyond the tool to help campaigns achieve their ultimate funding goals and beyond. 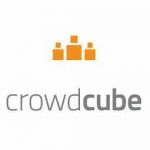 This killer combination of analytics and consultancy has already had an impressive impact on the crowdfunding community. 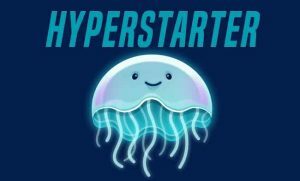 Hyperstarter has worked on over 200 campaigns, raised an additional £3.5 million for campaign owners and worked on projects from the British Invention of the Year to Carlos Santana’s shoes. Innovate UK, the government’s tech and innovation funding service, is constantly holding competitions to give you the opportunity to win some extra cash for your business – you can check out the latest programmes on its website. Its ambition is to find and propel the strongest science and tech organisations that will drive the future of the sector. When it comes to funding, Innovate UK don’t take the back seat. Since 2007, the team has contributed over £1.8 billion to innovation, which has almost been matched by partner and business funding. It prides itself in the 55,000 new jobs it has helped create from supporting 7,600 projects and adding more than £11.5 billion to the UK’s economy. Mongoose Crowd was established with a particular goal in mind – to help businesses designing, developing or building renewable energy sources. The lack of affordable renewable energy sources is rapidly becoming a prevalent issue and one that Mongoose Energy feels passionate about. With the help of funding, more businesses can take the initiative to contribute to this environmental revolution; and it’s starting already. 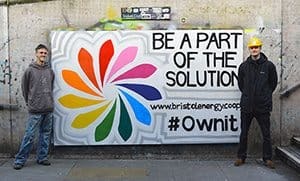 Mongoose Crowd wants to invest in the growing number of community energy groups that are working on rooftop solar panels to power local primary schools to those building large-scale solar projects that bring hundreds of thousands of pounds to the UK’s economy every year. To be a part of this unique funding platform, get in touch at [email protected]. 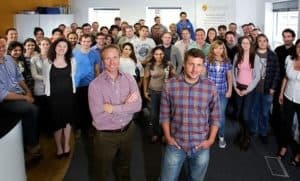 A similar concept to Crowdcube, but founded 2 years later, Seedrs helps great startups by giving them much needed access to a larger pool of investors. You can rally around your mates, family and randoms on Twitter to help get your idea off the ground, with the minimum investment starting at a mere £10. It may seem like a small amount but the pennies really do begin to add up with each person that invests in your business. You could soon see yourself with hundreds of investors, but you only deal with one legal shareholder via Seedrs making it much easier to manage. Seedrs will also provide advice on your business, it ensures your campaign for investors is fair, clear and not misleading, and it also keeps all your investors updated with how your business in progressing. The most you are likely to raise is £150,000, but if you are seeking to raise more it’s worth contacting Seedrs directly to discuss this. It does run on an “all-or-nothing” basis however, so if you don’t reach your desired funds then you won’t receive anything – you get three months to run your campaign. The small print – even though you may sign up for free, it will charge you 7.5% of the money you successfully raise via the site (it’ll also charge your investors 7.5% on any profits they make). On a good note, it won’t charge you if you don’t raise the money and there aren’t any sneaky extras for legal charges either. You don’t need to go all the way to Silicon Valley to get financial help from these guys, they come to you. The Silicon Valley Bank has over $48billion in assets and landed on the UK shores in 2012. It provides unique and flexible financial solutions to innovative and entrepreneurial companies across the globe. In the US it has previously helped LinkedIn, Pinterest and Mozilla when they were in their earlier stages of development and offers loans from $1million. While that might be over the top for many, with years of experience supporting tech startups and with one of their aims being to share that knowledge and encourage networking opportunities, you know you’re in safe hands. Video: What can Silicon Valley Bank do for you? The University of Bath secured £1.8 million in funding with the sole objective to support innovative social enterprise startups and SMEs in the West of England. 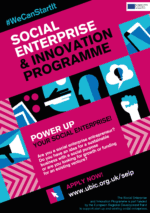 With strong partnerships with other social enterprise support networks in the region, including CVS South Gloucestershire, Social Enterprise Works, School for Social Entrepreneurs and Voscur, the programme aims to power hundreds of sustainable social enterprises over three years. SEIP, being run via the University of Bath Innovation Centre (UBIC), has attracted tremendous praise thus far. Organisations such as Food Drop, which connects cafes and food retailers with local charities who can make use of food waste, has taken advantage of the programme to expand their venture beyond Bath. And there’s still plenty of time to get involved. SEIP is open to tech and digital companies as well as those that are less techie, the main criteria is that your business is geared towards achieving social good. Check out UBIC’s website for more info and to see how to apply. In another win for the University of Bath, its now heading up a brand new £750k sustainable tech hub in the city with the aim of establishing and scaling-up over 130 Small and Medium Enterprises (SMEs) in the sector over the next three years. Based at the Bath SETsquared Innovation Centre, supported by green network Low Carbon South West (LCSW) and funded by the European Regional Development Fund (ERDF), the hub is the first of its kind in the UK. 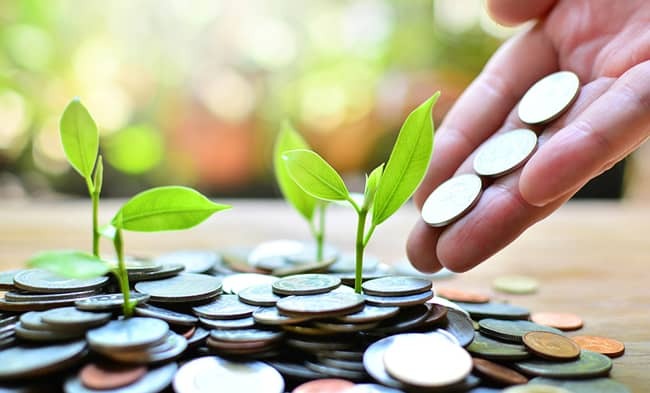 Supporting sustainable tech business ranging from low carbon services and products, to sustainable chemical technologies and the sustainable built environment, the hub offering includes access to investment, customers and research and development grant funding. Also on offer is a pool of expert mentors and consultants, a series of workshops and access to Bath’s leading green tech network. SWIG is a not-for-profit company that offers startup loans of up to £9,900 for businesses under a year old, plus loans for companies with viable plans to grow, but unable to secure the finance needed. It doesn’t matter if your business is merely an idea or needs cash to grow, you can apply for SWIG’s help here. With 25 years of successfully supporting small to medium-sized enteprises (SMEs) across the South West, they have delivered £27.2 million in business funding to over 2,000 SMEs and startups throughout the region whilst creating an impressive 3,400 new jobs. 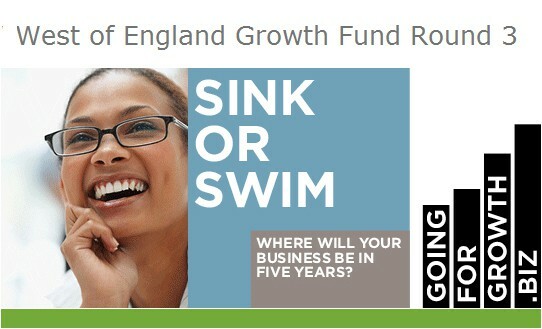 The West of England Growth Fund is in the midst of a lengthy project. Following from the government’s Growth Deals, the West of England Growth Fund has bagged £230.7 million to be invested back into the businesses of the region from 2015 – 2021. In addition, this will be matched by £180 million of further investment from local partners and the private sector. Combined, it hopes to create 6,000 new jobs. In February of this year, The West of England Growth Fund was granted funding of £52.8 million as part of the Growth Deal 3 Bid – check out its website for more info on the application process. The West of England Growth Hub offers a range of services from financial assistance to innovation and research advice to support for high growth businesses. It’s handy ‘Support Finder’ tool helps point you in the right direction, whether you need guidance with your strategy or a financial boost. Have a search on the decision tree to find the best sources for you! The Ufi Charitable Trust launched its first series of vocational tech funding rounds in 2017. Aimed at those who want to develop technology to help improve adult education, Ufi provides 3 rounds of funding ranging from up to £50k for early-stage and up to £150k for large-scale and specialist projects. Its funding rounds run at specific times of the year so it’s worth registering with Ufi for the latest news and updates on the funding process. If you’re an SME based in the West of England, the relaunch of UWE Bristol’s incredibly successful Innovation4Growth may interest you. The scheme is to inject £1 million worth of funding into the region to once again fund 35% of research and development project costs through grants ranging from £10,000 to £75,000 – and it encourages South West businesses in any sector to apply! Applications for this round closed 12 July 2017, but our bets are on it coming back around again. With so many funding sources available it’s worthwhile taking the time to investigate as many potential sources as you can, and the repercussions that type of funding may have for your business. Finding the right investors to team up with can really help take your organisation to the next stage, so do your research and take the time to meet the people involved. Also get in contact with people who have used this type of funding previously – they will usually be happy to share their experiences which will give you insight into what it will mean for your organisation. You also need to think about the fees involved and what your investors’ involvement in future decision-making processes may be and whether you would be happy with that. It’s worth putting the effort in at this stage as once you find the right fit, there’ll be nothing stopping you. Good luck! Got another funding suggestion? Tell us about it! This is based on an article originally written by Tom Sandford from Future Content. Shona has joined TechSPARK as an apprentice in her gap year and mainly writes news articles. She hopes to be studying English Literature and Creative Writing next year, but meanwhile, is enjoying meeting new people and learning lots!